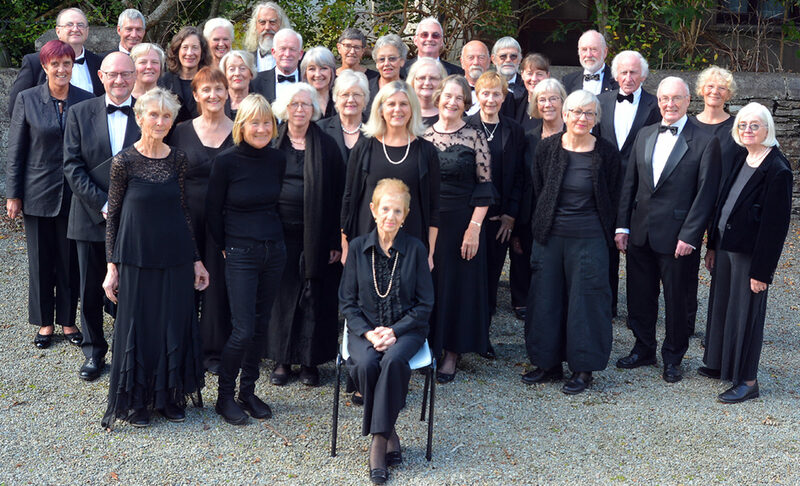 On Sunday 2 April the West Cork Choral Singers make a welcome return to Abbeystrewry Church to perform works by, among others, Johannes Brahms, Antonin Dvořák and Karl Jenkins. 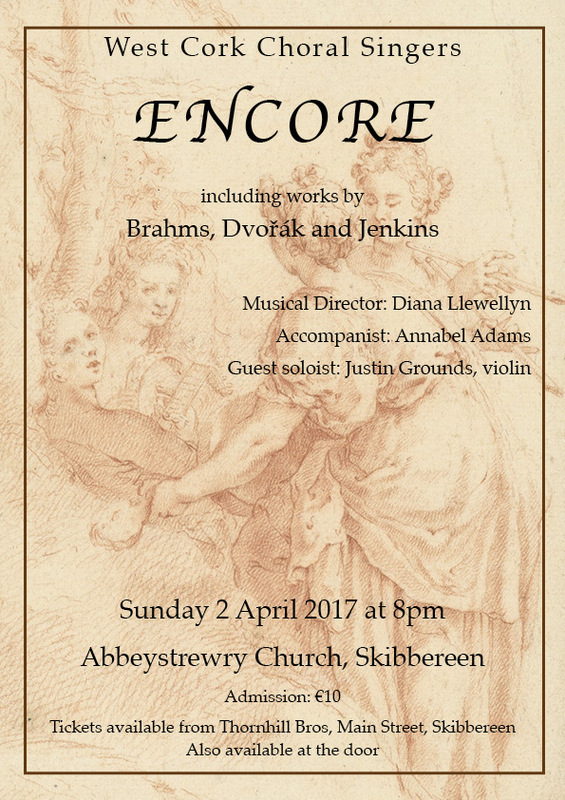 As always, Diana Llewellyn will lead the choir assisted by accompanist Annabel Adams. Justin Grounds, locally-based violinist and composer will be a guest soloist on the night. Tickets, at €10, are available from Thornhill Brothers Electrical, Main Street, Skibbereen or at the door on the evening. There is a downloadable poster if you care to print it or distribute it among your friends on Facebook or other social media.